33 people were arrested in Boston on Saturday August 19th, 2017 when an unknown number of Police officers rounded up protestors who were speaking out against hate speech. Two of those arrested speak out, on what they saw and what corporate media got wrong. In 2016, Massachusetts settled against Kinder Morgan, paving the way for the Connecticut Expansion pipeline project to cut trees near old Hemlock growth and to use Spectacle Pond as a water source to clean piping. Next month, a special Under Reported brought to you by the Boston Institute for Non-Profit Journalism. What does the future hold for food in New England? 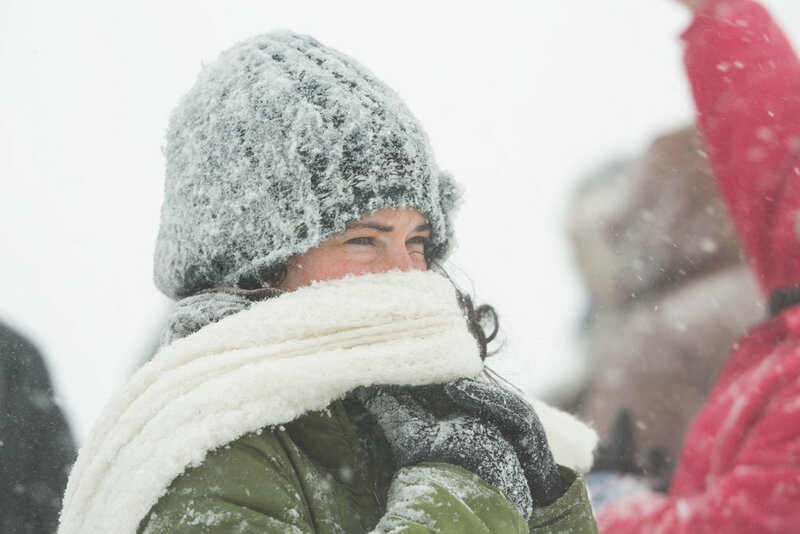 On December 4th, 2016 as thousands of Veterans descended upon the Oceti Sakowin camp, the Army Corps of Engineers in a statement made by Jo-Ellen Darcy, stated there was a need to explore alternative routes and that this would be best accomplished through an Environmental Impact Statement with full public input and analysis. Then, Donald Trump took office, and it became business as usual in America. On February 9th Dakota Access began construction on the pipeline again, preparing to drill under Lake Oahe. The commentary coming out of the white house has raised a lot of concern - specifically in regards to the President stating he has received no calls. In fact, since he took office the White House comment line has been down. The comment line was reopened on February 16th. 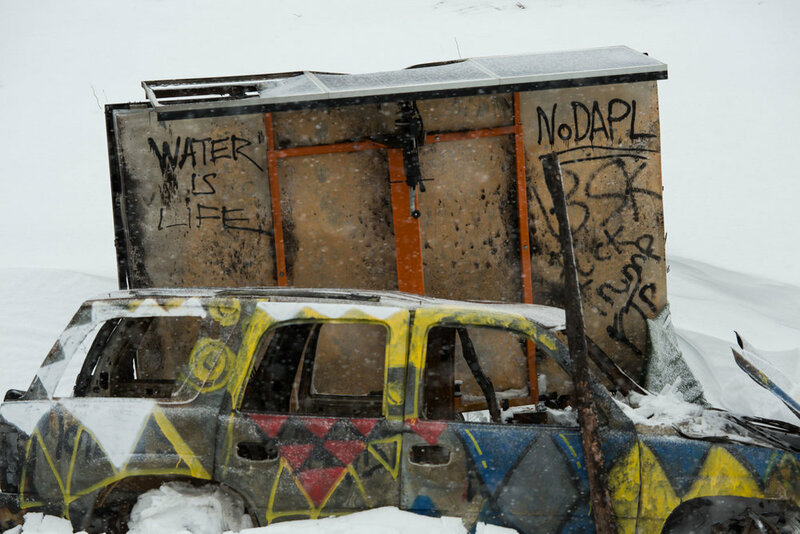 With the imminent completion of the Dakota Access Pipeline in sight, the real narrative is unfolding and it isn't making the front pages of America. In this episode of Under Reported I interview Chairman Harold Frazier of the Cheyenne River Sioux, Jade Begay of Indigenous Rising Media and Journalist Jenni Monet. 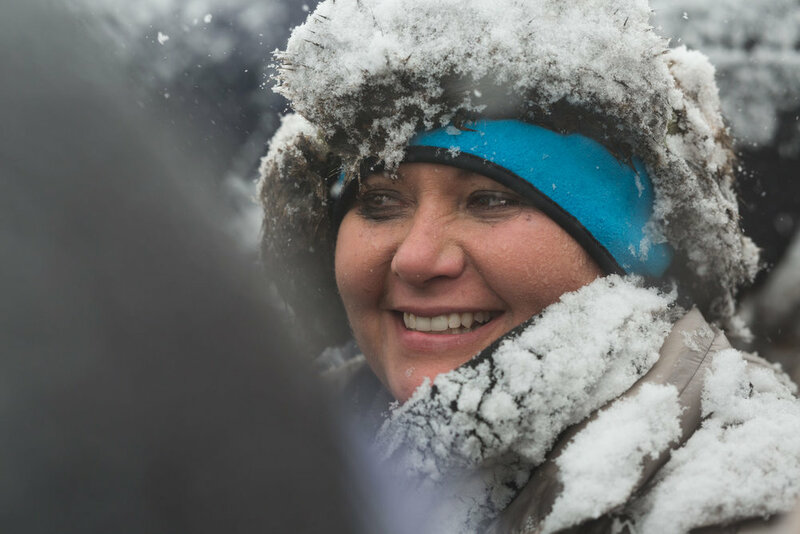 Chairman Frazier has been at the forefront of the legal battle in Washington, and Jade has been reporting on the ground at Standing Rock since September of 2016. Jenni Monet has been reporting, embedded at Standing Rock and is a contributor at Reveal, the Center for Investigative Reporting, and Indian Country Today. Listen in and learn how this movement is much more than a pipeline. Celebrating the easement not being granted near the Sacred Fire. 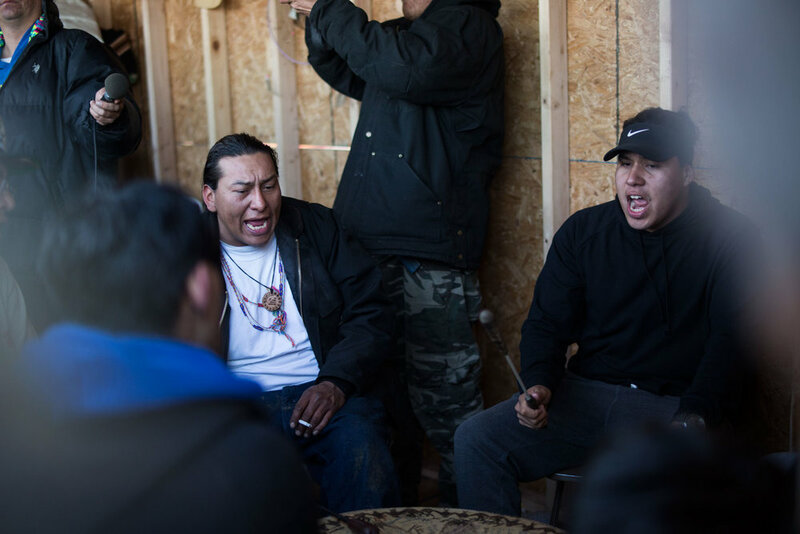 Beating the drums in celebration after the easement wasn't granted. 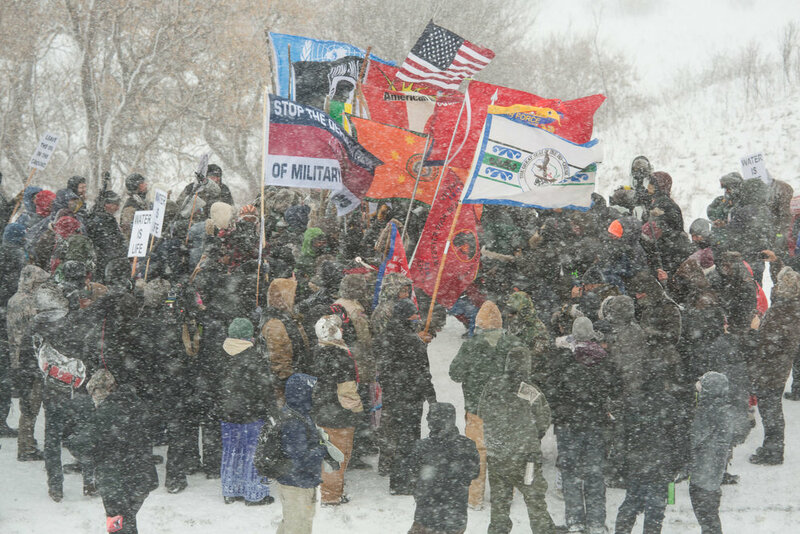 Natives, Veterans and Allies march to the Backwater Bridge to pray. Preparing to pray at Backwater Bridge. A woman praying at Backwater Bridge. A Veteran leading the crowd at Backwater Bridge. A man holding the line at Backwater Bridge. 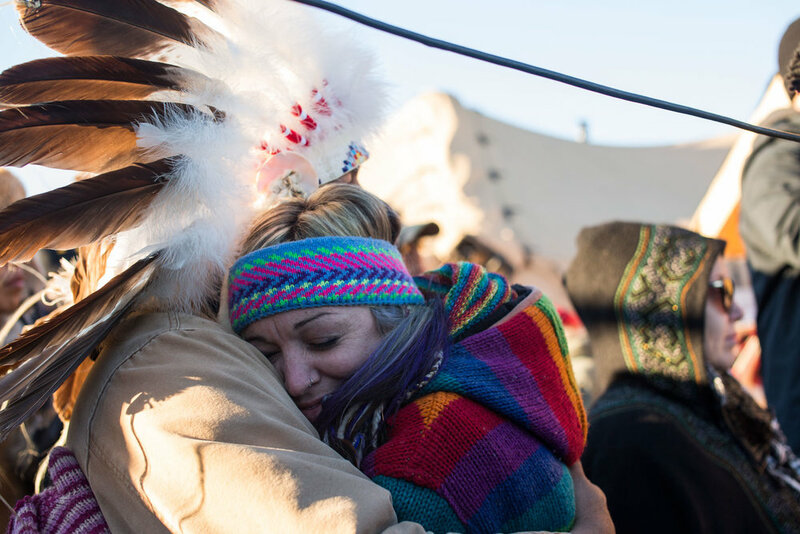 Natives and Veterans lock arms, holding the line as many pray at Backwater Bridge. Braving the cold at Backwater Bridge. The remains of a burnt vehicle at Backwater Bridge - turned into a monument. 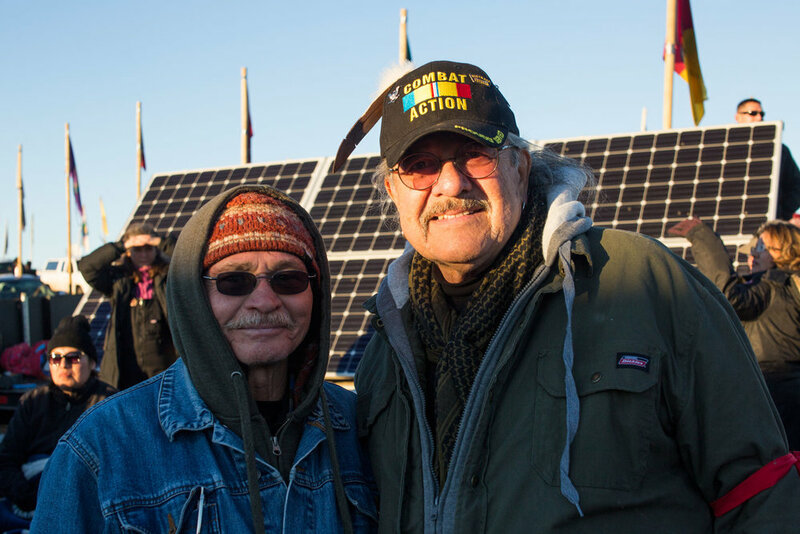 Veterans, Native and Non-Native at Backwater Bridge. Every month I will focus on a new story that takes you beyond the headlines and focuses on personal and untold narratives making up today’s news cycle. We will also dig deeper, and give you stories about the people and topics that mainstream media won’t cover. 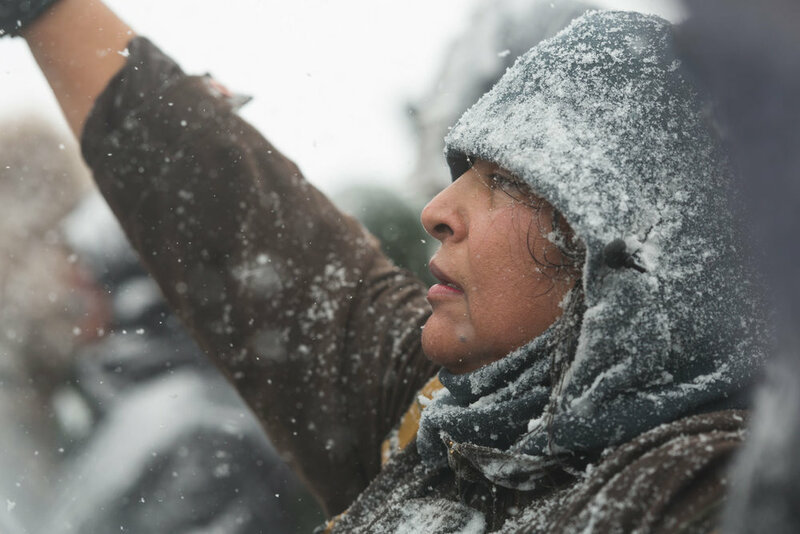 This month, Standing Rock, Tribal Sovereignty and the legal battle of a rigged system. Under Reported premieres February 22nd. Find underreportedpc on twitter for more details.